Chicagoland Habitat for Humanity is a regional arm of the national Habitat for Humanity organization, supporting eight local affiliates across the Chicago metro area. 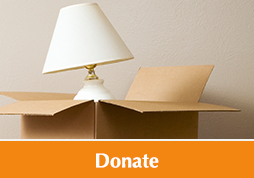 The organization’s primary goal is to assist in the funding, building, advocacy for, and growth of decent, affordable housing for deserving families in need within Chicago and surrounding counties. From the lakeshore to the Fox Valley, north to south, Habitat for Humanity in Chicagoland strives to make communities more desirable and safe places to live, work and play. 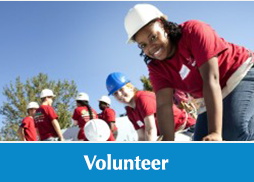 Together with residents, corporations, faith-based organizations, and partners; volunteers, donors, funding providers, and other supporters; Habitat for Humanity helps make meaningful change happen here in Chicagoland… one home at a time. Serving six counties, Habitat for Humanity in Chicagoland has built more than 1,100 homes, housing over 5,000 people in the region. The affiliates are part of the 2,500 affiliate members of Habitat for Humanity International that strive to transform communities while partnering with individuals and families to achieve responsible home ownership. 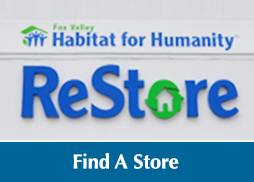 When you donate to or shop at your local ReStore, all proceeds from sales stay in your area, to help support the housing needs of your neighbors. This includes Lake, McHenry, DuPage, and Will Counties, as well as the Fox Valley, city of Chicago and South Suburbs. Habitat for Humanity International was founded in 1976 by Millard and Linda Fuller to address the issues of poverty housing. The involvement of Jimmy and Rosalynn Carter in 1984 gave the organization national visibility and began the growth toward today. Homeowners are required to invest 500 hours of their own labor (sweat equity) into building their own home and the homes of their neighbors. Partner families must also complete financial literacy programs and home management workshops in order to prepare them for successful homeownership. Habitat for Humanity homes are sold to qualified partner families at no profit and financed with no-interest loans; mortgage payments are used to build more homes. To date, more than 800,000 houses have been built or repaired through Habitat for Humanity International and its affiliates… giving new hope and a new way of life for more than four million people worldwide. 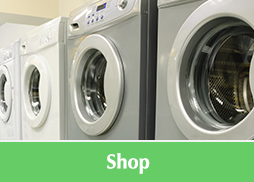 Want to do your part to help support this worthy cause?